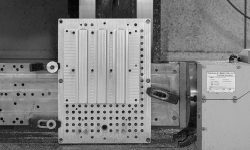 Laser cutting has been around since the 60’s but now it’s as relevant as it has ever been due to its growing usage within industrial processes. This non-contact process uses a constant beam of light to create heat and pressure which then reshapes/distorts various materials with precision as the cutting head moves over the material surface. 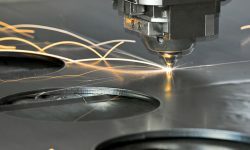 The laser technology serves a plethora of functions including cutting, drilling and engraving depending on the strength of the laser, the main component material it uses to produce the laser beam and the material it is acting upon. 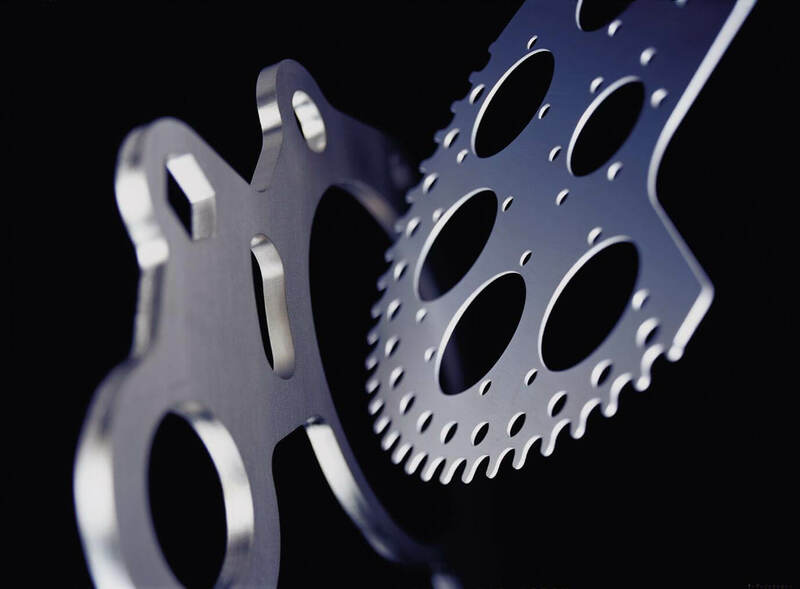 Laser cutting is one of the most main process to make sheet metal parts. Each laser offers a continuous wavelength and can serve a range of purposes. There are 3 types of lasers: CO2 (gas lasers), Fiber lasers and Nd:YAG or Nd:YVO (vanadate crystal lasers). Each use a different base material to stimulate the laser either electrically with a gas mixture or passed through physical diodes. A CO2 laser runs electricity through a gas mixture-filled tube, producing light beams. The tubes contain mirrors on each end. One of the mirrors is fully reflective and the other is partial, letting some of the light through. The gas mixture is usually carbon dioxide, nitrogen, hydrogen and helium. CO2 lasers produce invisible light, in the far infrared range of the light spectrum. The highest power CO2 lasers range up to multiple Kilowatts for industrial machines, but these are by far the exception. Typical machining CO2 lasers are 25 to 100 Watts in power with a wavelength of 10.6 micrometers. This type of laser is most common for working with wood or paper (and their derivatives), Polymethylmethacrylate and other acrylic plastics. It is also useful for working with leather, fabric, wallpaper and similar products. It has also been applied to the processing of food such as cheese, chestnuts and various plants. CO2 lasers are generally best for non-metallic materials, although there are certain metals that they can process. It can generally cut thin sheets aluminum and other non-ferrous metals. One can enhance the power of the CO2 beam by boosting the oxygen content, however this can be risky in inexperienced hands or with a machine unsuitable for such enhancements. This class of machines is part of the solid-state laser group and uses the seed laser. They amplify the beam using specially designed glass fibers that derive energy from pump diodes. Their general wavelength is 1.064 micrometers, producing an extremely small focal diameter. They are also typically the most expensive of the various laser-cutting devices. Fiber lasers are generally maintenance-free and feature a long service life of at least 25,000 laser hours. Thus, fiber lasers have a far longer lifecycle than the other two types and they can produce strong and stable beams. They can manage intensities 100 times higher than that of CO2 lasers with the same amount of average power. Fiber lasers can be in continuous beam, quasi- or offer pulsed settings giving them different functionalities. One sub-type of fiber laser system is the MOPA, where pulse durations are adjustable. This makes the MOPA laser one of the most flexible lasers, which can be used for multiple applications. Fiber lasers are optimally suited for metal marking by way of annealing, metal engraving and marking thermoplastics. It works with metals, alloys and non-metals alike, even including glass, wood and plastic. Fiber lasers, depending on the power, can be quite versatile and deal with a ton of different materials. While working with thin materials, fiber lasers are the ideal solution. 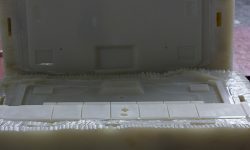 However, this is less so the case for materials over 20 mm although, a more expensive fiber laser machine that can work with over 6 kW could do the trick. Crystal laser cutting processes can be in nd:YAG (neodymium-doped yttrium aluminium garnet), but more commonly they tend to use nd:YVO (neodymium-doped yttrium ortho-vanadate, YVO4) crystals. These devices allow an extremely high cutting power. The drawback of these machines is that they can be expensive, not just because of their initial price but also because they have a life expectancy 8,000 to 15,000 hours (with Nd:YVO4 being having a typically lower one) and the pump diodes can net a very hefty price. These lasers offer a wavelength of 1.064 micrometres and are useful for a huge range of applications, from medical and dentistry to military and manufacturing. When comparing the two Nd:YVO exhibits higher pump absorption and gain, a broader bandwidth, broader wavelength range for pumping, a shorter upper‐state lifetime, a higher refractive index and lower thermal conductivity. When it comes to continuous operation, Nd:YVO has an overall similar performance level to Nd:YAG in cases with medium or high power. However, Nd:YVO does not allow for pulse energies as high as Nd:YAG and the laser life lasts for shorter periods. These can be used with both metals (coated and non-coated) and non-metals, including plastics. Under certain circumstances, it can even process a few ceramics. The Nd:YVO4 crystal has been incorporated with high NLO coefficient crystals (LBO, BBO, or KTP) to frequency-shift the output from the near infrared to green, blue, or even UV which gives it a ton of varying functions. Due to the similar sizes, yttrium, gadolinium or lutetium ions can be replaced with laser-active rare earth ions without strongly affecting the lattice structure needed to produce the beam. This preserves the high thermal conductivity of the doped materials.